This entry was posted in Uncategorized by Julian Röpcke. Bookmark the permalink. Congratz… Looking forwad to seeing some work from you in your new job! While I dont like the right-wing leaning Bild in the european politics, I do understand his utility in the more big context of the radical anti-modern and anti-liberal attack than Russia and his pawns are unleashing over the West. Congratulations and keep up the good work. Sorry for my bad english. Putin is a German spy. As in 1940, your world view is opposit to the reality. German propaganda is as good as ever. German ship is as docile and stupid as ever. The bureaucratic mafia tries to buy Conflict_reporter with this Bild.de deal. This is my opinion. Therefore, it is a mistake to take the offer from Bild.de. The situation is Germany is really not healthy now. German bureaucracy went nuts once again, not unlike during the Nazi time. Note, for instance, that the Swiss public network was submitted and for some time already slavishly retransmits German propaganda, and some other bizarre pan-European bureaucratic propaganda. So, what you see on Swiss public network is heavily pro-Putin, pro-Russia. I suggest that Conflict_reporter keeps his identity hidden. 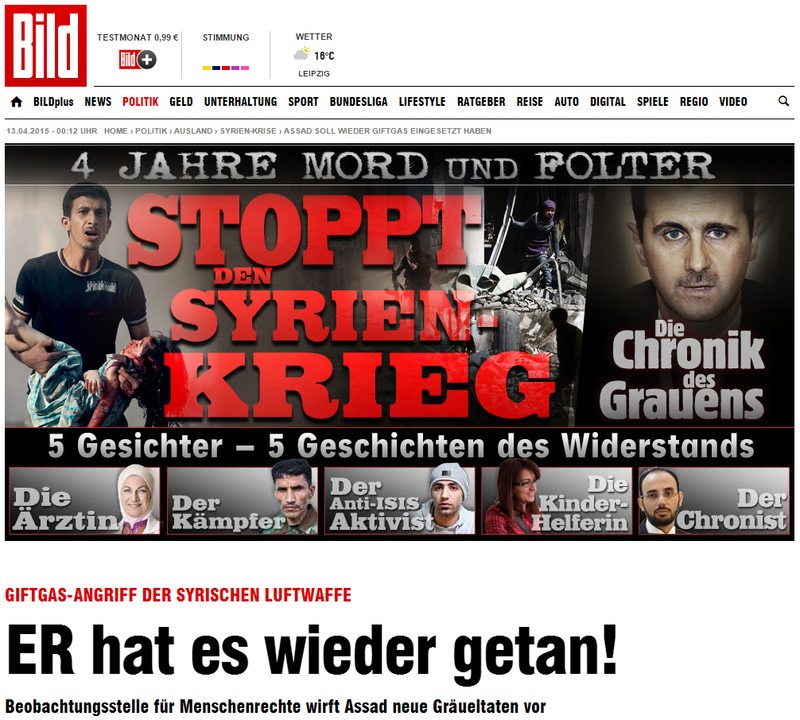 Never to mention this blog in the articles written for Bild.de. To take a pen-name for Bild.de would be a good idea. 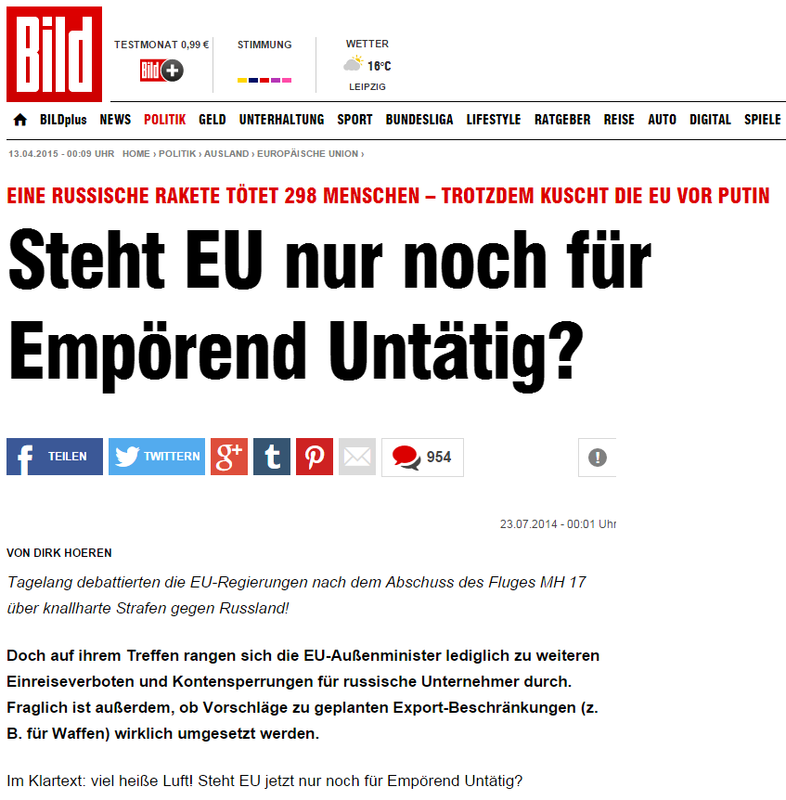 It is strange, by the way, that Bild.de even asks to revel identity. Very strange. Congratulations, after all your hard work you definitely deserve it.